3 LIFE & ENTREPRENEURIAL LESSONS LEARNED FROM LOSS By Johnetta G. Paye, Esq. Normally, I blog about legal topics and celebrity news. For the last week, I have been in an introspective place and it influenced my decision to write this blog post. Last week, my secretary had a family member pass and it made me reflect on life, loss and my own personal experiences. In the fall of 2013, a close friend of mine passed away. She was like a sister to me and we would always share our hopes and dreams for the future with each other. My friend died young and had an unfinished life. She did not get an opportunity to achieve many of her personal, professional and entrepreneurial goals. She would always tell me that she was waiting for the perfect time to start her business, but the perfect time never came. Life’s tragedies have a way of teaching us the most profound lessons. When my friend passed I struggled for months to make sense of it. What I learned is that sometimes it takes losing someone to make us go after our dreams in life and step into our destiny. The experience also reaffirmed for me there is power in using your life to inspire and lift up others. I do not frequently talk about my entrepreneurial journey. For this blog post, I wanted to share my story in the hopes that it will inspire and motivate others members of the BOSS Network. I started my law practice in 2009, during the height of the economic recession. At the time, there were limited job opportunities for attorneys. I felt that if no one would give me an opportunity then I would create one for myself. I had zero capital to start my business. What I did have was vision, drive and determination. The entrepreneurial life is not for the faint of heart. There will be numerous obstacles you will need to overcome as you build and establish your business. Being an entrepreneur pushes you beyond your limits and there will be times when you want to quit. It’s in the difficult times that you have to continue to fight. As P. Diddy…I mean Puff Daddy says, “I won’t stop now, cause I can’t stop now.” Tenacity is what is going to enable you to keep striving when it seems like your breakthrough is not going to come and the walls are closing in on you. Not everyone is going to understand or support your vision. As you embark upon your entrepreneurial journey a lot of people will advise you to give up. When I first started my business my parents implored me to get a “stable” job. They could not understand why I would opt for a life filled with uncertainty. What helped me stay the course was my unwavering belief in my vision. Vision is going to be what motivates you to work countless hours and to push through during challenging times. There is something extremely gratifying about seeing your vision become a reality. These are just three lessons that I learned in my journey. Please use the comment box below to share your entrepreneurial lessons with the BOSS community. In his book, Who’s Holding Your Ladder, Dr. Samuel Chand recounts an experience he had that led to a poignant Aha moment while waiting for an appointment. He observed a workman on a ladder painting a building. The workman had climbed the ladder as far as he could but then had to extend his arm to perform his task. Dr. Chand noticed that the workman could only reach so far without losing his balance. What he also noticed was that if the ladder were not held steady, it greatly decreased the workman's confidence about stretching beyond the ladder. This brought Dr. Chand's attention to who was holding the workman’s ladder? Was the ladder holder watching the workman so that he could anticipate what the workman's need might be while on the upper rungs or was he just holding the ladder in place and not really paying attention to the workman's activity? Dr. Chand's Aha! 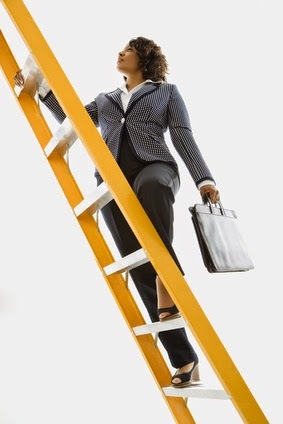 moment was that who is holding your ladder and what they are focused on while you are on the ladder can make a huge difference in how far you ascend the ladder and how far you stretch beyond the ladder. Dr. Chand goes on to describe how leaders must be anchored by a supportive team that holds the leader’s vision. 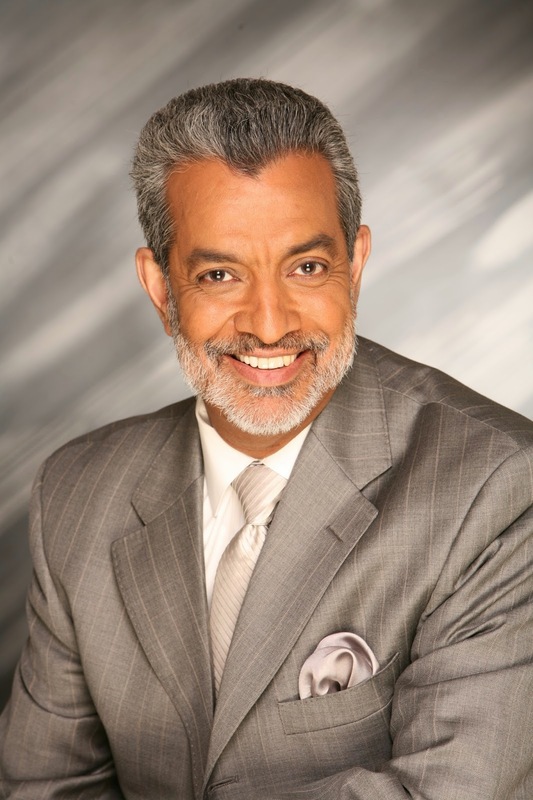 It is a powerful insight Dr. Chand gleaned from a seemingly mundane observation. Written and intended for leaders in ministry, parallels can be drawn for those of us working within corporations or even running our own businesses. So much of our success and drive depends on our internal compass; what we think, how we feel, what we believe about ourselves and what gremlins we breathe life into. It is, without question, ultimately up to us. But who have you appointed to the key position of ladder holder? Are they competent and dependable? Are they respected, respectful and trustworthy? Can they anticipate your needs or help you avoid potential land mines? Most important of all, do they hold your vision and mission? It is so tempting to try and go it alone. Particularly as women, we are inundated with subtle and not so subtle messages that we are not enough. As a result, we put a lot of effort into proving everyone wrong. So we start our climb by ourselves, usually saddled with expectations and some self-doubt. We have the top of the ladder in our sights, but the most important dynamic isn't where the ladder leads, its how the ladder is anchored. Dr. Chand observed that the painter had extended as far as he could, and if he were to go any higher or reach any further, he would need help. Notes Dr. Chand, “No leader gets to the top without those down below who hold the ladder.” He further notes that “whether in management or systems, the effectiveness of a leader depends on the person or persons who hold the ladder – those who are in support roles.” Dr. Chand says he couldn’t see who was holding the painter’s ladder. That’s often the case, he says, that the people in support roles do their work in the background, often unseen. But the fact of the matter is, they are just as important as the leader. These insights apply to our personal lives as well. Who is in your inner circle? What is the quality of the energy they contribute to your life? Are they encouraging and uplifting, leaving you feeling energetic and inspired? Or are they negative and toxic leaving you feeling less confidant, drained and worn out? It is so important that we surround ourselves – hand pick our inner circle – our ladder holders – with people who wish for us nothing but our highest good. Who’s holding your ladder? Are you clear about what you need in your ladder holders or inner circle? Are their values, qualities and vision aligned with yours? If not, then some change may be in order. 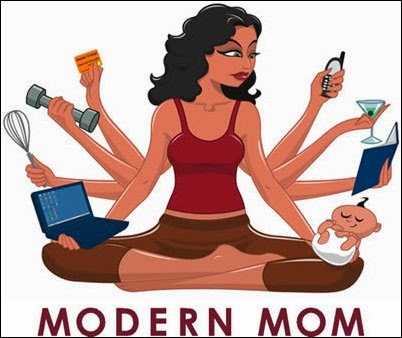 Amidst the ongoing debate and battle of stay-at-home moms versus mothers returning to the workplace, I noticed the trend of women merging the two successfully. Today, women are taking control of their futures and finances aren’t an exclusion. 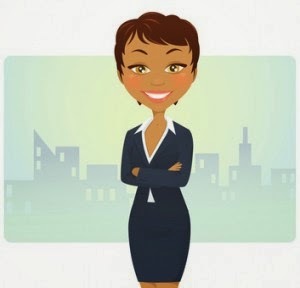 There’s a new breed of business woman on the line and she’s as savvy with expense reports as she is available for PTA. She’s a MOMprenuer. I joined this allegiance a few years ago after the war to meet corporate demands took a toll on my life goals. I’m educated and driven, creative and family-oriented but there was a lack of balance and shortage of security in my field. I was uncomfortable knowing the hours, days and sacrifices dedicated to my career could leave me jobless at the sight of corporate cutbacks or layoffs. I’d been a writer, actor and public speaker my entire run in corporate America but never took the leap of faith into building my brand. It’s not easy to take that leap for fear of lack in security and merely keeping the lights on is jeopardized when you follow a passion over a career path. Until now! Corporations nationwide are making accommodations to work remotely while maintaining full benefits and salary; working from home with a virtual office affords moms the ability to sustain in the company without the time sacrifice away from home. This is an optimal option for those not yet prepared mentally or financially to make that transition into sole entrepreneurship. Fortune 500 companies and general contractors alike have remote positions available in IT, Customer Service, Marketing, Sales even Executive Assistants can take advantage of this trend to work from home. It takes a high level of discipline and time-management when working from home with a corporation but it’s certainly a viable option when considering starting your own company. This can be a healthy transition into entrepreneurship by finding strengths and weaknesses that weren’t highlighted before. MOMprenuers are at times driven by passion projects that can be found profitable; knowing your banana pudding can bring the house down at family reunions is different than launching a desert catering service. There are certainly logistics in working from home and working for yourself, the balance is found when you know exactly what you want and how to make it happen. A solid support system is paramount for this ambition to come into full fruition. Whether you realize working for self is what you were born to do or find that the freedom of working from home is too loose an environment for you to focus and thrive, it’s a critical learning experience either way. Being in and taking control of your career in entrepreneurship is just as empowering as running your household and raising children. There is a system. There is a goal and an intended outcome along with the gratifying feeling that you feel doing what you love. There is no greater joy turning a passion project into a stream of income to provide for my family. I only wished I’d started out on this journey sooner. There are sacrifices to anything worth having and this is no exception; limits of patience are greatly tested when taking this leap. You have to convince others you’re doing the right thing in the face of you not being so sure yourself. It gets rough. At these moments you must realize why you took the leap to begin with. I think back to the day I walked out of my corporate office with a promise in my soul to never return. No, I wasn’t on my way to a film premier or book signing. I was running late to my child’s school and I knew I had to make a way for my dreams to work for me. I did, I do and so can you..!! !